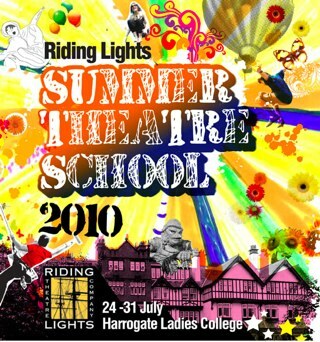 For the next week – July 24th – 30th I am in Harrogate running workshops at the Riding Lights Summer Theatre School. It is an opportunity to deliver a workshop in a theatre setting working up to a performance of the stories for the entire school at the end of the week. I love the combination of digital storytelling and performance. I’ll be working with writers too as well as delivering a couple of taster sessions. Riding Lights is a special sort of Theatre Company. It’s artistic director, Paul Burbridge, is one of the founders too and a very good friend of mine. It’s a Christian company – this week will be characterised with lots of prayer and faith as well as the nuts and bolts of performance and devising – but it’s productions are intended to challenge rather than preach. So I’m heading for Harrogate. It’s only 21 miles from home but the packed programme means I will be staying there for the week. If there’s an internet connection ( a rare commodity at the venue we’re using) I’ll update the blog with the progress of the workshops.